It’s tough, isn’t it? Buddies are key as you deal with your adjustment to sobriety and with depression or anything similar you may be feeling. But however helpful those friends are, some of them are drinkers, and they bring a danger. No man is an island, though, and the fact is, you’ll get offered some suds from time to time. Such an offer may be offered innocently by a person or people who are not aware that you have quit drinking. The two scenarios will require slightly different approaches; a simple no thank you with a quick explanation does the trick in most cases. Amigos, please don’t find me preachy when I tell you that finding ways of turning down drinks is a skill you absolutely must learn. I mean, no one is just going to say, “no thanks, I’m a recovered alcoholic” every time. Besides how awkward and somewhat embarrassing that is, you also don’t want to be carrying around your recovery (like a cross) on a constant basis. Remember, life isn’t some weird movie from your high school health class. People will usually feel a social obligation to be accepting of another person’s convictions. Saying you don’t drink in a confident and no-nonsense voice usually shuts ’em up. Of course, I’ve also had the experience of the opposite–they want to know if this is due to the whole recovering alcoholic gig. You can look vaguely put off by this and say that you just don’t drink, and that will work. Or, if you want to go the route of saying yes, that’ll work just as well. Think about it. What you’re trying to do is help yourself and improve yourself. No part of this requires you to be honest to near-strangers who aren’t helping you at all. So, one easy and pragmatic thing with which I’ve had a lot of success is saying something like I have to get up really early in the morning or that you got up early that day, etc. I’m being serious here–there’s a certain joy in coming up with fictions. It becomes a whole new game, being in little gatherings and playing a little character you’ve fashioned–much fun! 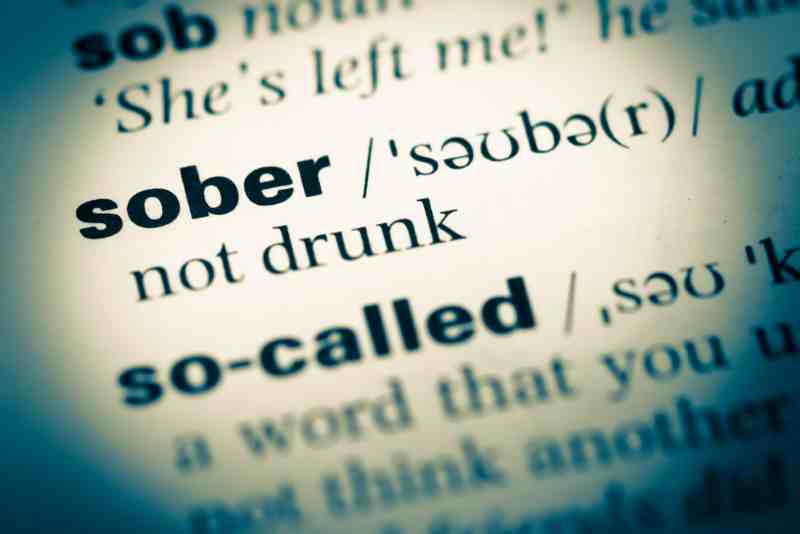 “Nope, can’t drink, I’m the designated driver.” It’s just that simple. And if you refer to “excuse,” above, you can make this claim whether it’s true or not. When I go to any gathering of any kind, I make sure to get a beverage just as soon as I can and hold on to that thing for dear life. People don’t often offer a beverage to someone who’s drinking a beverage. A few people will think that you may be a non-drinker if you have a soda, and that will discourage them from asking. Now, from reading the rest of this post, you probably think I’m some of professional deception artist or something like that. The stratagems I’ve been unspooling are for the times when you don’t want reminders of your struggle and for the parts of you that don’t want to drag your recovery around with you everywhere. However, there are also the parts of you that just want to be out with it. Generally, my experience has been that if you say once that you’re a recovered alcoholic, that’s the only time you’ll have to say so. If you thrive on reminding yourself of your struggle and of being cool with who your are, this is the way for you.